In this series on ‘destiny’ we have looked at ‘who I am’, and it is time now to move on to our redemptive gifts or ‘how I am made’. After that, we will go on to ‘what I am made for’. If we want things to work together for good (and not just our own good but for the good of everything and everybody), then we really need to know that we are called and that we have a purpose. Do you know His purpose for your life? Have you accepted His call? His purpose and His call will work together to enable us to see our lives outworked for the glory of God and bring transformation to this earthly realm. If we know His purpose for our lives and know what He has called us to, both in this realm and in heaven, that will enable us to be a gateway of heaven on earth. ‘A redemptive gift is the grace of God woven into who we are; that when we are made right with God we become able to honour Him with how He has made us to be’. Sadly there may have been other threads ‘woven into us’ which have affected us negatively. And do not be conformed to this world, but be transformed by the renewing of your mind, so that you may prove what the will of God is… (Rom 12:2). God’s will is for an open heaven over us, for us to engage with the Father, Son and Holy Spirit in intimacy, and for that, we need to be transformed (not conformed). The world wants to conform us to a particular pattern and rob us of what God intends us to have and experience. God desires to transform us to outwork who we really are, in His service. In that way, we will be able to fulfil our part in restoring the whole of creation. Redemptive gifts are different from the spiritual gifts of 1 Corinthians 12 (healing, words of knowledge, wisdom, distinguishing of spirits, tongues etc. ), and from the offices appointed for the church in 1 Corinthians 14 (apostle, prophet, teacher, miracle worker etc. ), and from the ministry gifts of Ephesians 4 (apostle, prophet, teacher, evangelist, shepherd). Redemptive gifts are found in Romans 12. Since we have gifts that differ according to the grace given to us, each of us is to exercise them accordingly: if prophecy , according to the proportion of his faith; if service, in his serving; or he who teaches, in his teaching; or he who exhorts, in his exhortation; he who gives, with liberality; he who rules, with diligence; he who shows mercy , with cheerfulness (Rom 12:6-8). There are seven different gifts, and these are given to ‘each of us’, which leaves nobody out. We are to line up with what God has given, rather than what the world has attempted to impose on us. Each of us is to exercise the gift(s) He has given us; as we do we are to be that gift to the rest of the body. The seven gifts are prophet, servant, teacher, exhorter, giver, ruler and mercy. Paul writes that faith is intrinsic to being a prophet and that a servant will actually serve (you cannot be a servant in theory). The same with teacher and exhorter – it is only in teaching or exhorting that they express themselves. The next three are interesting. ‘With liberality’ describes how a giver gives. ‘With diligence’ describes how a ruler rules. Finally, mercy operates ‘with cheerfulness’, indicating that the mercy gift may perhaps struggle to be cheerful. We will look at each gift in more detail in coming posts. For the anxious longing of the creation waits eagerly for the revealing of the sons of God. For the creation was subjected to futility, not willingly, but because of Him who subjected it, in hope that the creation itself also will be redeemed from its slavery to corruption into the freedom of the glory of the children of God (Rom 8:19-21). Everything God created, both in the spiritual realm and in the physical realm, is waiting for God’s sons to be revealed, and to bring back to creation what is missing. So ‘creation itself will also be redeemed’, and we are called to be part of God’s plan to do that. That plan includes the gifts God has given us, and when we discover who we are then we can discover how we fit into God’s overall purpose. The way we are wired and designed enables each of us to fulfil our destiny and engage in the process of restoring creation. Redemptive gifts are dealt to each person in differing measures of faith. God gives people as the different gifts. God gives these gifts as necessary to fulfil his redemptive will on earth. Each of us is a gift, differing according to the grace given to us by God. Each person is and has a primary gift, but will have others as well, and the mix and degree of the various gifts in each of us is a unique combination. “Before I formed you in the womb I knew you, And before you were born I consecrated you; I have appointed you a prophet to the nations” (Jeremiah 1:5). Redemptive gifts are received at conception, rather than salvation. We are born with them and they will influence the course of our lives, regardless of whether we become Christians or not (though they will be more effectively expressed if we do). Psychologists term these differences in people ‘basic temperaments’ or ‘personality types’. We are designed on (and with) purpose. Redemptive gifts tend to shape our personality. They also affect the way in which we may receive or express one or more of the spiritual gifts, offices or ministries. So my redemptive gift is how I am intrinsically made to function, ideally with spirit and soul in harmony. But because of separation from God, my soul or heart personality traits developed independently of my spirit. I need to discover the gift, then purify and refine the heart to define and polish it, so that it begins to shine. There are some common behavioural characteristics which can help us identify our redemptive gifts (primary and secondary). Compassion, for example, may come more easily to servants and mercies than prophets and rulers. However, we must not use our gift as an excuse for not growing in love! We are all called to walk out the fruit of the Spirit, whether it comes naturally or not. God is your Father and designer, and He desires to call forth your identity as His child. He desires to reveal your redemptive identity. He wants you to know who you are and how you are designed. You are called to be a world-changer. As you exercise your own gifting you are free of the need to compare yourself (favourably or unfavourably) with anyone else. You can be comfortable in your own skin, not having to try to be like other people. Everyone else is also unique. Everyone is messed up in some way. Every one of us is in the process of being refined, purified and transformed so that we can be ‘us’ as designed by God. We must learn to respect and honour the differences and uniqueness in each other. As members of the body we will not all see things the same way, but when we put it all together we (as a body) will see things as Jesus does. Next time we will begin to look at each of the gifts in more detail. 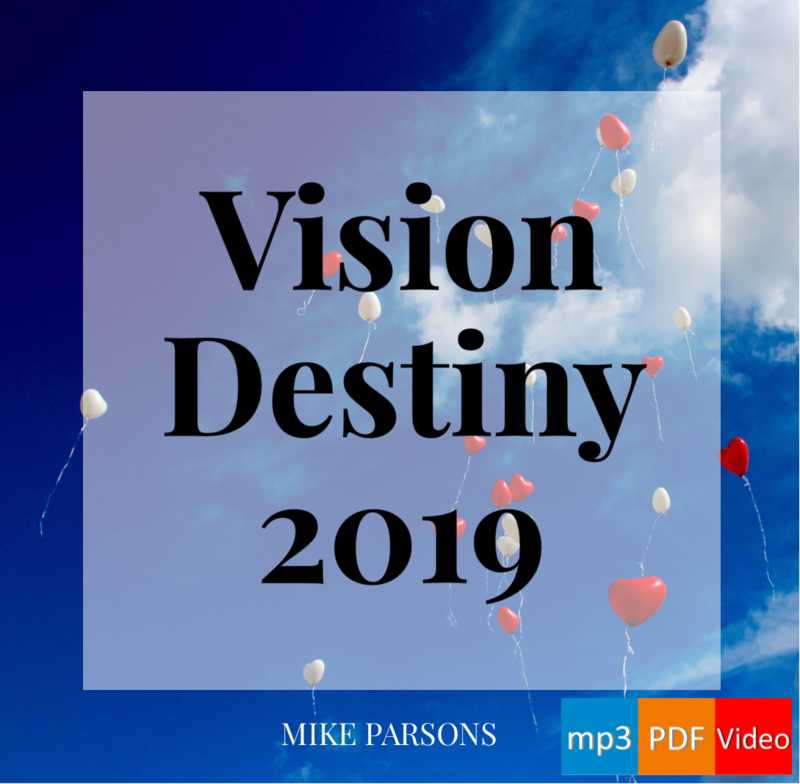 Destiny: Redemptive Gifts mp3 audio teaching series by Mike Parsons (this post has been drawn from session 1).